MOSCOW, February 11. /TASS/. Russia urges its partners among the BRICS nations (Brazil, Russia, India, China and South Africa) to establish a foothold in Syria’s promising market, Russian Ambassador to Syria Alexander Kinshchak said in an interview with TASS. Over the past seven years of the Syrian conflict, the country’s economy has suffered an enormous damage. "According to Syrians’ estimates, losses in the real sector of the economy topped $75 billion," the ambassador said. "UN experts believe that it will have to be poured nearly $200 billion to achieve the pre-crisis GDP growth rate." 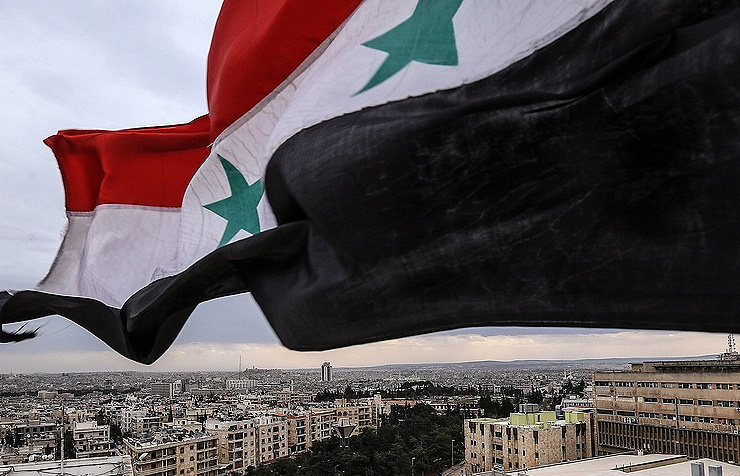 "We are aware that the Syrian government will find it difficult to obtain a huge amount of money required for the post-crisis recovery," the Russian ambassador said. "Therefore, Russia suggested that the international community, first of all, the nations friendly to Syria, should join efforts in order to work out a complex program for its revival." "First of all, we speak about our BRICS allies, Iran and other states carrying out independent foreign policies and motivated to gain a foothold in the promising Syrian market," Kinshchak said. The Russian diplomat pointed out that the blame for Syria’s damaged economy should be pinned not only on terrorists, but also on the international coalition led by the United States. "In particular, as a result of their deliberate strikes, dozens of vital fuel and energy infrastructure facilities in Syria’s north as well as bridges, roads, educational and medical institutions have been destroyed," he said. "The former ‘Caliphate capital’ of Raqqa happened to be 80% destroyed, but no reconstruction has yet begun up to now," Kinshchak added. In comparison, the Russian ambassador mentioned the Syrian city of Deir ez-Zor, which was retaken by Syrian government forces supported by Russian air strikes from the Islamic State terrorist group (banned in Russia) last November, following a many-year siege. "Peaceful life is getting back on track [there]. Hospitals and schools are being reopened, housing and municipal services restart functioning and residents are coming back to their homes," he noted. "A similar picture can be seen in Eastern Aleppo liberated from militants in December 2016. ".